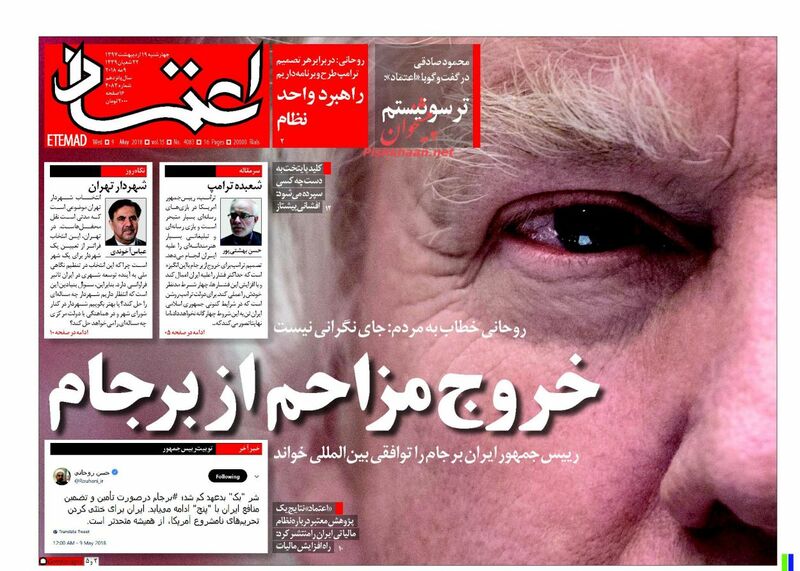 The U.S. withdrawal from the nuclear deal was the top story in Iranian newspapers on May 9, the day after President Donald Trump’s announcement. 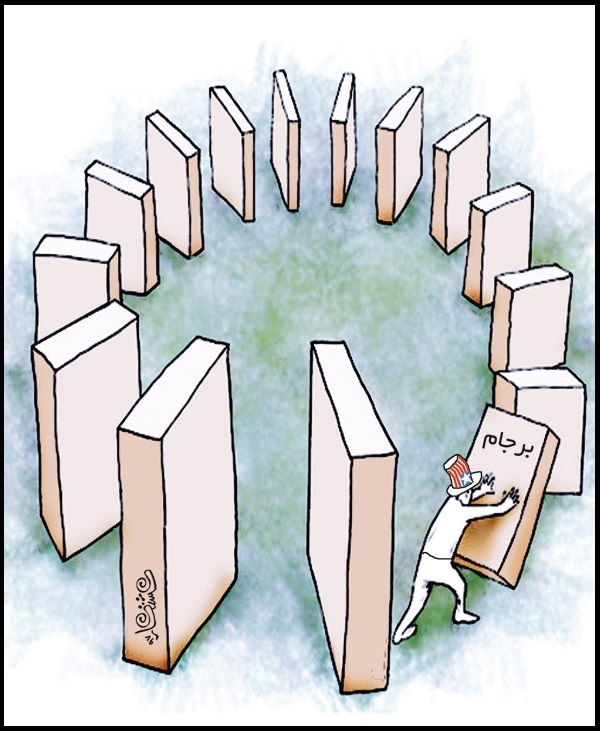 His decision produced common cause among Iran’s diverse political cartoonists through the end of the month. 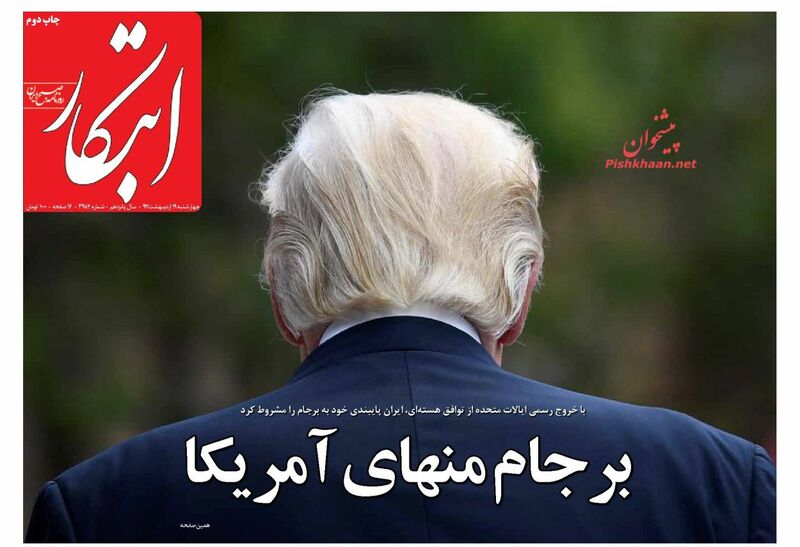 The Islamic Republic has a broad political spectrum—ranging from reformists to hardline principlists—that is reflected in an equally broad range of media outlets. 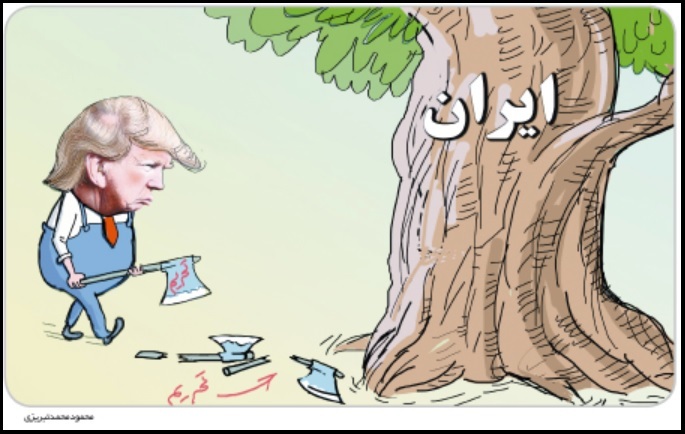 But they uniformly depicted the U.S. decision as self-destructive and Iran as resilient. 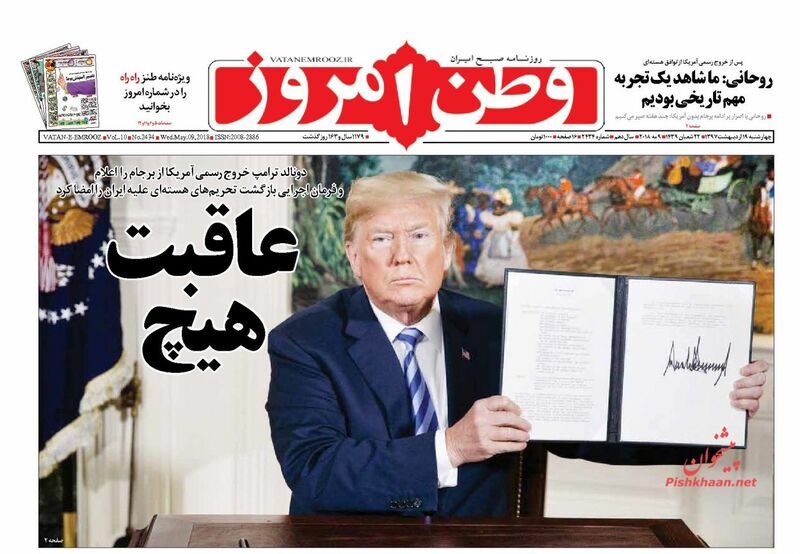 The following is a collection of front pages and political cartoons reacting to the U.S. decision to reverse policy, exit the deal, and reimpose economic sanctions. 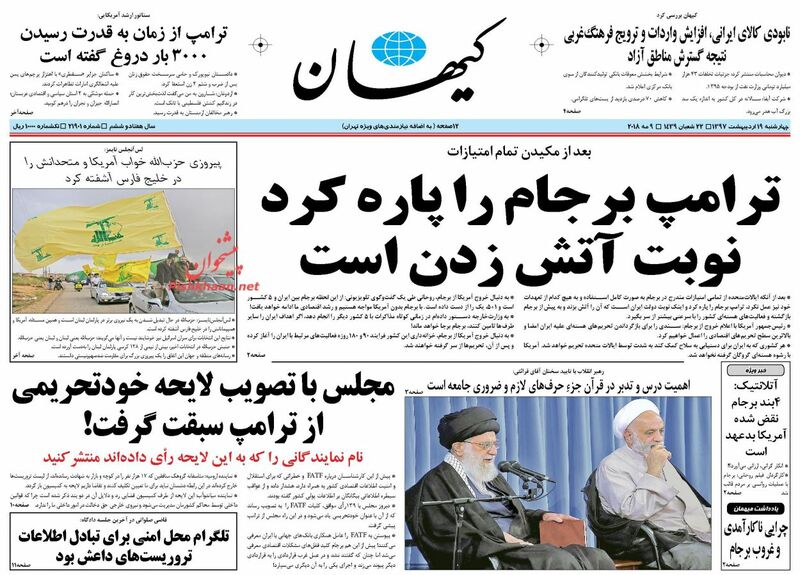 Translations of the headlines are adapted from those published by Iran Front Page. 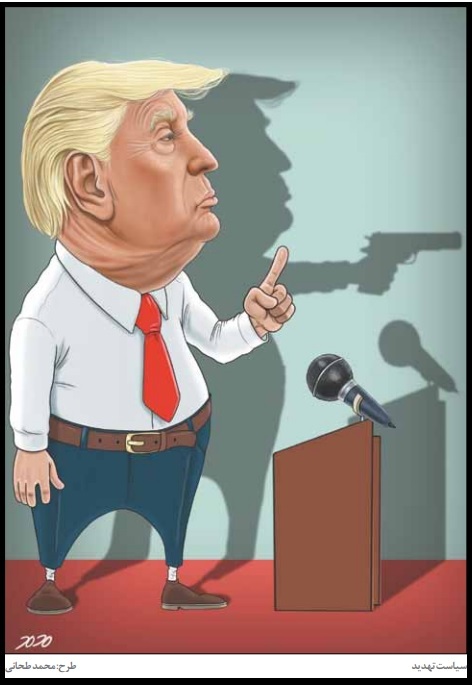 Translations of the cartoon titles are by Eli Pollock. 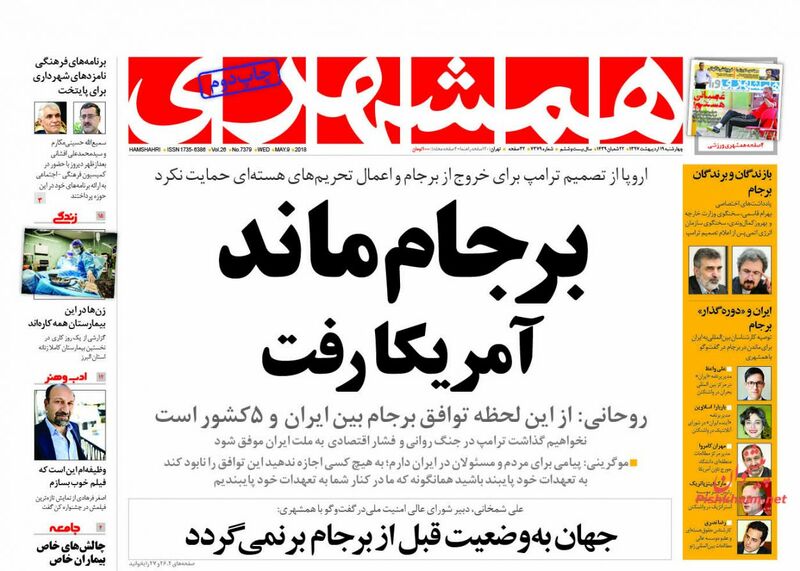 "Iran Sets Conditions for Remaining in JCPOA after U.S. Withdrawal"
The paper used a headline similar to the one that described the Shah’s departure in 1979. 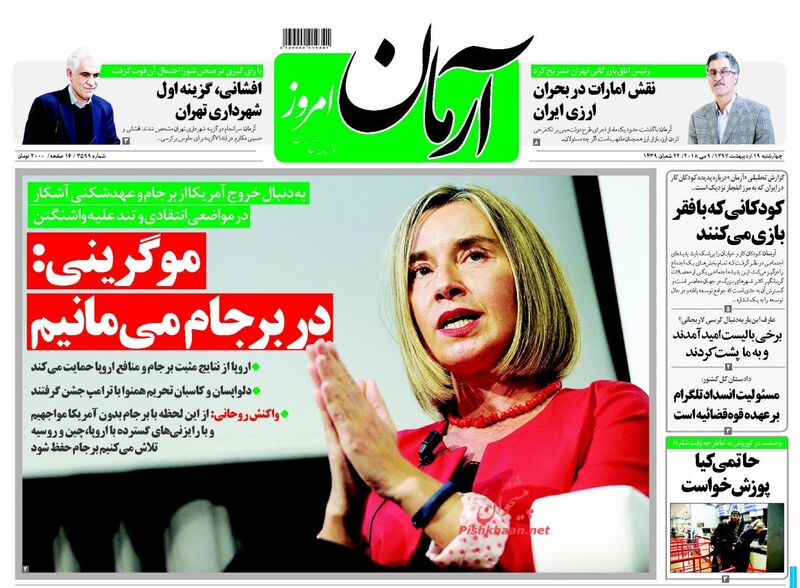 "JCPOA Remained, U.S. Left It"
"Europe did not support Trump's decision to exit from JCPOA and impose nuclear sanctions"
"Rouhani: From Now on, JCPOA Is a Deal between Iran and 5 Countries"
(Secretary of the Supreme National Security Council Ali) "Shamkhani: World Not to Go Back to Pre-JCPOA Era"
"Mogherini: We’ll Remain in Iran Nuclear Deal"
"Europe to Support Positive Results of JCPOA"
"Rouhani: Our nation is more united than in the past"
"Mogherini: We remain beside Iran"
"Intruder Now Out of JCPOA"
"Iran President Calls JCPOA ‘International Deal’"
"Heavy Costs of Withdrawal for U.S."
"Rouhani: We Must Stand on Our Own Feet"
"Iran to Remain in JCPOA If Its Conditions Are Met: Rouhani"
"Head of Government: The People Have no Anxieties for Future of Country"
"It’s Now Our Turn to Burn It"
"Rouhani after U.S. Withdrawal from JCPOA: We Gained Important, Historic Experience"
"Trump Officially Declares U.S. Withdrawal from JCPOA, Signs Executive Order for Return of Nuclear Sanctions Against Iran"
"Shamkhani: JCPOA Collapse Will Not Benefit the U.S."
Eli Pollock, a research assistant at the Woodrow Wilson Center International Center for Scholars, contributed to this collection. 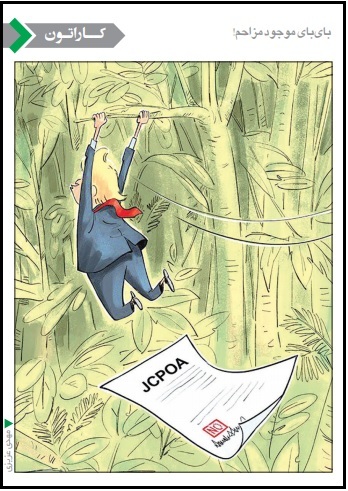 Click here for Obama-era officials' reactions. 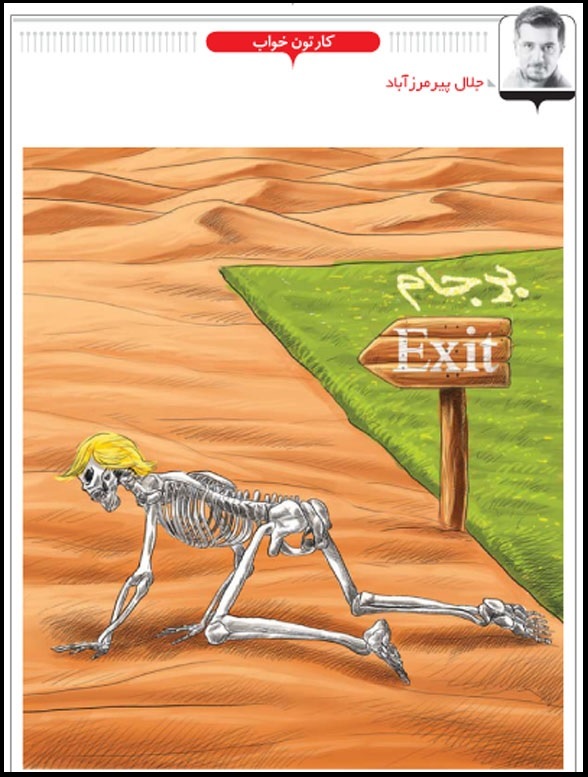 Click here for reactions from the Middle East.